Sinopsis Filem Independence Day: Resurgence : Filem arahan Roland Emmerich ini adalah sekuel kepada filem “Independence Day” yang akan menyaksikan Liam Hemsworth membawa watak utama apabila dunia sekali lagi diceroboh oleh makhluk asing. 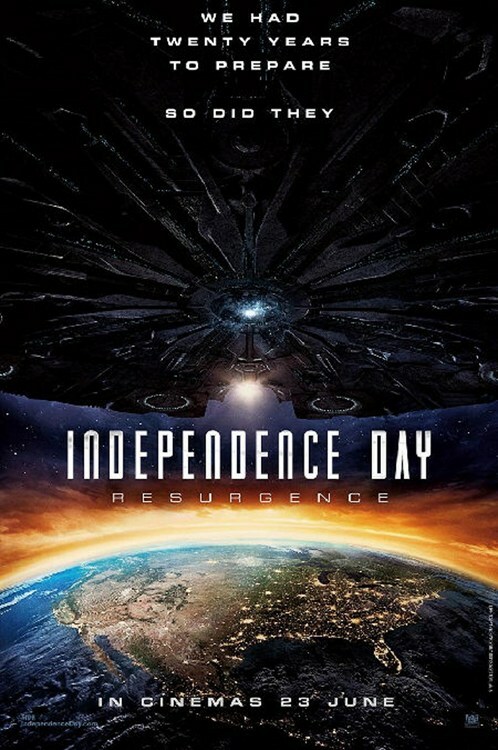 Independence Day: Resurgence Movie Synopsis : An ancient portal has opened and the nations of earth have to collaborate to fight against the return of a ruthless alien species. Ill-prepared Earth works on an immense defense programme using recovered alien technology to protect the planet. With the devastation brought upon Earth, only a few brave men and women can possibly save humankind from extinction.